Joseph Howe Grave Site | Papyrus Watch - Exposing the overuse of the Papyrus font. "Haha, that's Papyrus, I used it on a grade school project about Egypt once", i said to Nick. "Sit down...let me tell you a story" I said, and it all started there...Sure enough, a Papyrus lookalike for a title with Papyrus underneath. 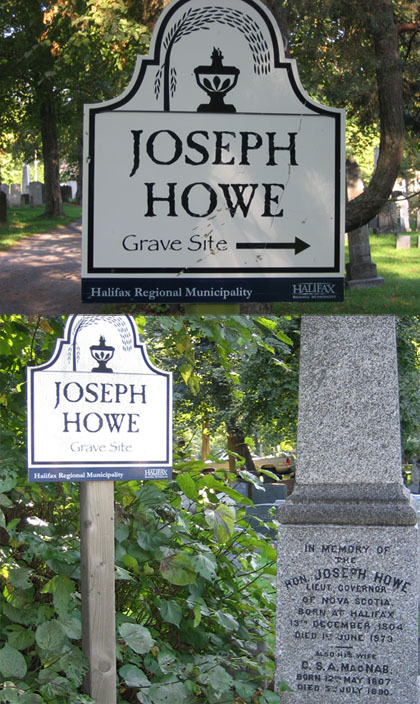 Joseph Howe was a famous Nova Scotian journalist and politician in the 1800's. He is honored with this grave stone and Papyrus sign.